Google Nexus 7 buzzing the market all over the over the world, people love the powerful tablet in low price. To make the things easy for Nexus 7 users, Google comes with a series of video for Nexus 7 tablet owners to extract more from 7-inch tablet. The guide is very useful those who coming from another OS or Android previous version like Gingerbread. 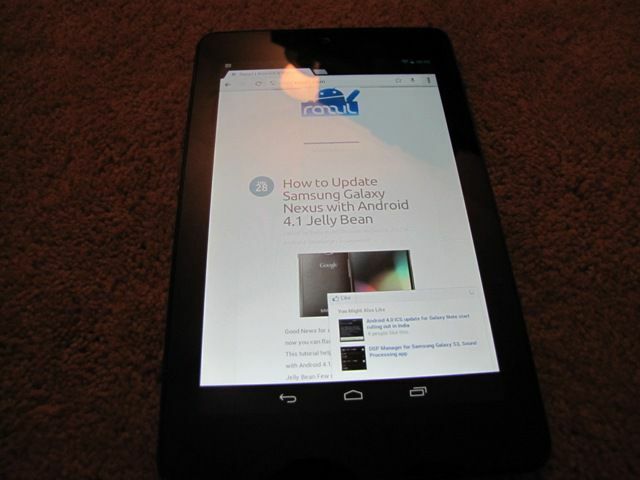 This video help Nexus 7 owners to guide initial set up process to get Nexus 7 up for the first time. This Video Helps to personalize Nexus 7 hope screen by arranging apps, widgets and folders. From Google Play app you can use the world’s largest collection of eBooks, millions of songs, thousands of movies and TV shows, and a growing selection of magazines, plus over 600,000 apps and games. Google Now uses your information to give you right information at just right time. Google Now can predict weather before you start your day, how much traffic to expect before you leave for work, when the next train will arrive as you’re standing on the platform, or your favorite team’s score while they’re playing. You can do video chat with up to 9 people using Google+ Hangout features.